There is a major bug in a Yoast SEO version which impacts your site's rankings. Please listen or watch this episode to find out if you have the bug and how to fix it. 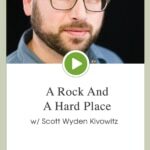 Welcome to episode 61, my name is Scott Wyden Kivowitz and today I just want to share with you some very important news because you know on this podcast, and pretty much every time I teach somebody about wordpress, I'm always recommending yoast Seo and they will continue to do so because it really is the best seo plugin for wordpress from understanding software development. I know that there are times where there are bugs in software and unfortunately sometimes it's an important part of your website that experiences the book. And in this case it was yoast Seo. Now yoast Seo was updated to version seven point, oh, not long ago. And they've undergone a bunch of different small version update since then. And uh, on May 30th they released version seven, point five, point three. And this update actually fixes a bug that they found that actually is a pretty severe bug, especially as a plugin that handles how your site is found on search engines like Google and bing. And this bug actually makes it so a lot of your pages would not necessarily pages attachment pages, which I'll explain what those artists, second attachment pages would actually be index, no matter if you set it to yes or no. And the downside of this is by having them index, it would actually lower the rank of actual pages that you, urls posts and pages that you wanted to rank would be lowered because the attachment url would be index as well. So they fixed the bug and they actually released a, another plugin that to patch if you're, if you're experiencing the book, not everybody is, you know, I checked about 10 sites and three out of the 10 had the bug. So my guess is three out of 10 sites, you know, we'll, we'll have this bug now. The plugin is used on over like over 2 million sites or something like that. So you can imagine how many websites are going to be experiencing this. Now I want to show you, if you're, if you're listening to the podcast episode, just be aware. I'll tell you the names of everything. Um, be aware of the plugin that have listened to what I'm telling you of how to check, but if you're, if you want to watch it, go to the show notes. 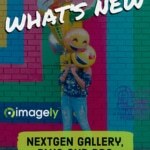 Imagely.com/podcast/ 61. You can find the show notes at the show notes. You can find the video of this episode and you can actually see what I'm talking about. So first thing I'm going to link to in the show notes is the article talking about this bug. Now, this is for attachment urls. Now, what attachment urls are basically if you're inside of a poster page and you upload an image and add that image to your, um, to your post or page. That image has a url, technically has a url that's called an attachment url. And it's basically what some gallery plugins used to give you the ability to rank those urls. But it's not ideal because that means you have all these different urls for literally every image on your website that you now need to create, you know, tons of content for per image in order to get that to rank well, where the better method is just let your post rank well, uh, and have the images there and optimize the images. Um, it's what we talk about, um, about how image seo is not necessarily about the images. So the better method and this is what yoast also recommend and they now in version seven point, oh, they do this on default, even though there was the bug is they redirect the attachment urls to the post or page url in order to make the attachment urls. No, right. So they won't be indexed, but unfortunately it was a bug and they weren't index for some people. So when it was set to, yes, it was actually set to know for some people, uh, and, and even though it showed, yes, it was still no. So it was kind of a tricky bug. So what they recommend doing is to upgrade to version seven. Point five, point three to fix the bug and then if you go to the media section on, okay, first go to Seo, then there's search appearance, menu item under the Yoast Seo menu, and then under search appearance you've got all these tabs, general content types, media, taxonomy, and so on. Click on the media tab. Now if it said to know you want to set it to change it to yes, this is very important. Unless you are using a plugin that specifically utilizes the media attachment urls and you are specifically trying to optimize every single one of those urls. If you are, then you want to make sure it's on. No, but if you are not and you're just trying to do what is recommended with best practices, then uh, I suggest turning it to yes. Now, if you had it to yes before and you upgrade and now it's set to know or if you upgrade it was already know and you want to go to yes. Make sure you go to a yes, right? Make sure it is yes. If you had the bug then if you have the bug or had the bug and you were set to yes, then it would show no. Once you upgrade to version seven, point five, point three, this is how you will know if you had the bug because before it would have been yes, and then after upgrading it would have said no. That's how you know you have the bug. That's very important. 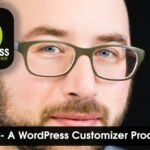 Now, if you have the bug, you need to install a plugin now or if you're just switching it to yes after it was already know you need to install the plugin called yoast seo search index purge. Okay. Now all this we'll do right now, 5,000 people have installed it and basically you need to install this and leave it active for six months. What I will recommend doing is after six months, set a set a reminder for yourself either in your calendar or you know, a reminders app. Six months disable that plugin, right? Just set yourself a reminder, but what this will do is it will create a fun, a http 4:10 status. It'll create a status that says this url does not exist. It was redirected to the, the, the post or page url that you want. It'll create a site map that will have all this so that Google will see it and d index those attachment pages, so that'll help your rankings by removing the urls that are competing with itself, duplicate content, um, and so on, right? So you want to install that if you have the bug and only if you have the bug really, so you're going to install it. And I'm going to stall right here. If you're listening, you'll basically just know that I just activated that plugin. And then I go back to the search appearance menu item and go to the media tab. And basically it says these settings are being overridden by the search index purge plugin, right? So I sent it to yes. And then I activated this patch plugin, went back to it and it is basically is taken over the media section and that's it. Now, in six months from now, I can disable the plugin and deleted and problem is solved. My guess is that Yoast Seo, we'll leave this plugin active for a few years because, uh, some people just won't notice the, the bug unfortunately. Um, so that's it. This is just a very important thing. That's why I made an entire episode of the podcast dedicated to it. I don't want your site's ranking poorly because of a bug in one plugin, so, you know, just pay attention to what's needed. 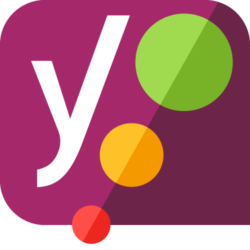 If you need assistance, you know, go to the Yoast Seo Forum in, you know, create a ticket and maybe they'll help you. That'll be really good since it was a major bug in their part. And, and that's about it. If you have any questions also feel free to comment and the post on the show notes and I will do my best to answer those for you. Thank you for listening. See you in the next episode.